Local musical acts are getting the chance to appear alongside headline acts such as Edwyn Collins, Admiral Fallow and The Twilight Sad at this year’s Spree Festival in Paisley. The cream of the area’s top talent will go head-to-head during a nightly contest on the Danny Kyle Open Stage. 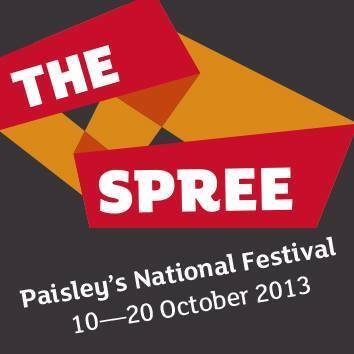 The Spree is returning after a successful debut in 2012 and will this year run alongside the Royal National Mòd, Scotland’s premier celebration of Gaelic culture and language, on its first-ever visit to Paisley. The stage is a celebration of the life of the legendary Scottish singer-songwriter who was a passionate supporter of traditional music and a constant campaigner for its revival in Scotland. The Danny Kyle Open Stage will run between Friday 11 and Thursday 17 October with the chance to progress to the final night showcase concert on Friday 18 October in the fantastic Spiegeltent in County Square. 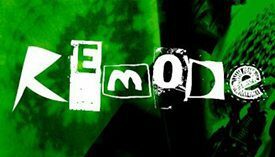 Each event will be broadcast live on www.celticmusicradio.net. Each day at 5pm three successful applicants will take to the stage and be scored by a panel of industry experts. The top three artists are then invited back to the final-night showcase and receive a live session on Celtic Music Radio, with the winner also being awarded with a slot at the 2014 Spree festival. Rikki Kyle, son of Danny Kyle, said: “I am excited the Spree festival is holding a Danny Kyle Open Stage in Paisley. My dad would be very proud it had come to the town. “He loved the town and was so involved with Sma’ Shot Cottages. He helped come up with the idea of restarting Sma’ Shot Day in the eighties to get the local community involved in showcasing their talents. Other musical acts already announced for The Spree include Rachel Sermanni, Miaoux Miaoux, Capercaillie, Donnie Munro and Horse McDonald, while Craig Hill and Fred MacAulay and more will provide the comedy. With huge amounts of interest in these Open Stages, acts are invited to apply to take part by downloading the application form from www.thespree.co.uk and returning it by Thursday 3 October to dkos.info@yahoo.com. There will be over 70 Spree and Mòd fringe events over 10 days in October. For further information on The Mòd visit www.modphaislig.org.